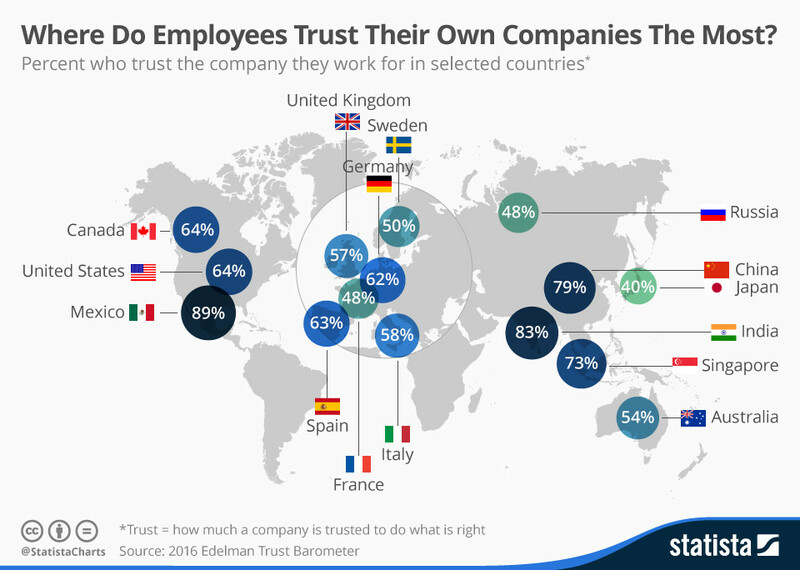 Scooper - Technology News: Where do employees trust their companies the most? Where do employees trust their companies the most? Do you trust your company to do what is right? In Mexico, almost 90% of people trust the company they work for. In contrast, the Japanese have the highest levels of distrust towards their employers. A study from Edelman evaluates the level of trust people place in the government, businesses, nongovernmental organizations (NGOs) and the media. Based on responses from over 33,000 people in 28 countries, their Trust Barometer found big differences in the levels of trust from country to country. 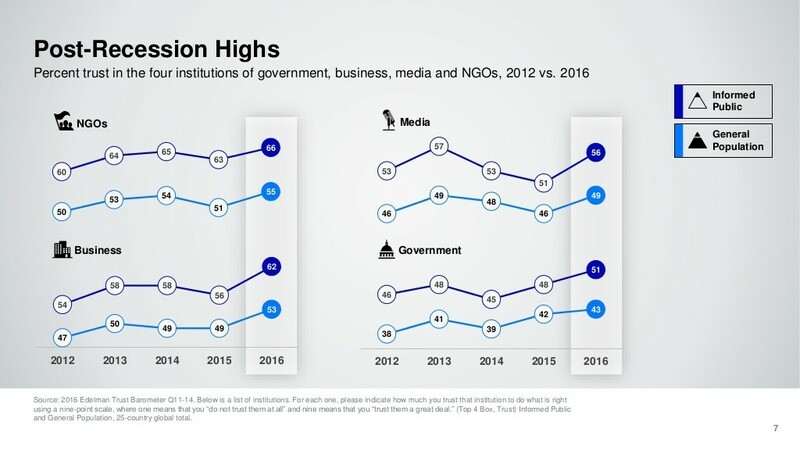 Overall, the survey found that trust in all four institutions (government, business, NGOs and the media) has risen to a post-recession high. Business has seen the biggest increase in trust, both among what Edelman refer to as the informed public and the general population. NGOs maintain the highest level of trust of all institutions, while people have the least trust in their governments. Coming in just behind NGOs, business is seen as more trustworthy than both the media and the government. Mexico sees the largest gap, with business being more trusted than governments by 44 points. In that country, 80% of the general public think businesses can increase profits and also improve economic and social conditions in the communities they are based in. An increased trust in CEOs has also developed over the past five years, with almost 50% of people responding positively to CEOs, believing they can have a benign impact on society. 4 ways businesses can build customer trust Could 'trust inequality' explain rising populism?